The Zars Bar Stool Black is a classy and contemporary item, with a smart modern design that adds subtle style to the bar area. An understated yet sophisticated piece of bar furniture, choose the Zars Bar Stool to be the finishing touch in your interior. The stool is made comfortable with a curving padded seat clad in black faux leather. The compact size makes the Zars a perfect item for any smaller location, keeping the overall look sleek and simple whilst adding excellent functionality. The Zars is a practical piece, this comes courtesy of the gas lift mechanism that provides variable height and 360 degree swivel, making access to any bar table or counter all the easier. The chrome plated frame also showcases a hand crafted footrest and a sturdy, stable base complete with an integrated floor guard beneath. "Fantastic value, good quality product & free delivery"
The product is exactly as shown. Easy to assemble. Great value. Very good service from supplier. I recently ordered 4 of these stools for my breakfast bar. Delighted with the quality of the stools, excellent value for money. Easily assembled and comfortable to sit on. Delivered in 2 days to Ireland for only €20 ! 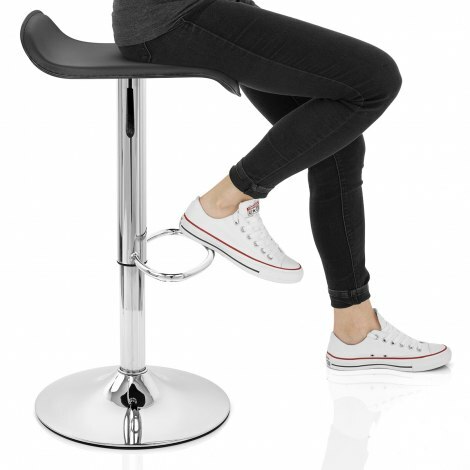 Super barstool, perfect for sitting at breakfast bar. Excellent service from Atlantic, including after sales enquiry - dealt with immediately. I would not hesitate in recommending the product and supplier and will use them again when and if necessary. Thank you Atlantic. 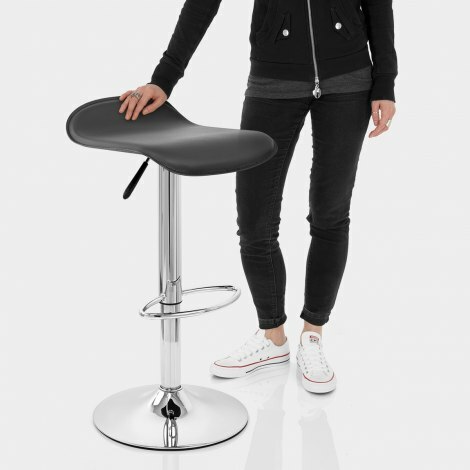 Good product easy to assemble, pleased with the stool and would recommend it for a low price bar stool which is easy to adjust and light to move about. Works well and is as detailed. Good service and delivery very quick.